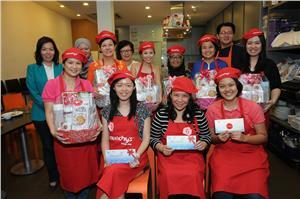 10 finalists competed with each other and cook their way off at the “Creation of OatKrunch Recipe” Cook-off finale. 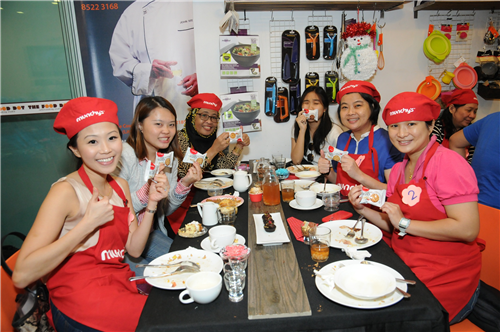 Top three winners, Ms. Manvel Scherazade Lhave, Ms. Chong Yeong Xin from Malaysia and Ms. Tan Lee Kheng walked away with a pair of 4D3N Hong Kong Free & Easy package while other participants are awarded with Munchy’s Hampers. The “Creation of OatKrunch Recipe” contest has attracted over 100 participants submitted their self-created recipes using OatKrunch biscuits. Top 9 shortlisted finalists have been invited for the grand finale “Cook-Off” Contest at The Food Dot, a café owned by Chef John See, Head Chef Consultant. He is also one of the four panel judges. 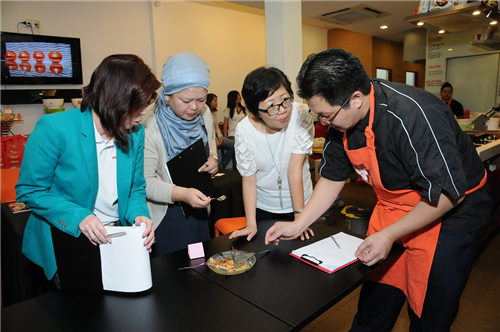 The other judges including Ms. Kimberly Song – Managing Editor of Miles Media, Cik Ruslina bt Affandi – Editor of “Manja” Magazine and Ms Vonnis Ho, Country Manager of Munchy Food Industries Singapore branch. The participants are required to prepare their dishes that they have submitted for “Creation of OatKrunch Recipe” Contest beforehand, conducted the final touch up on the spot and presented the dish to the panel judges. The judging criteria are simplicity, presentation and taste. The participants had a great time during the contest. 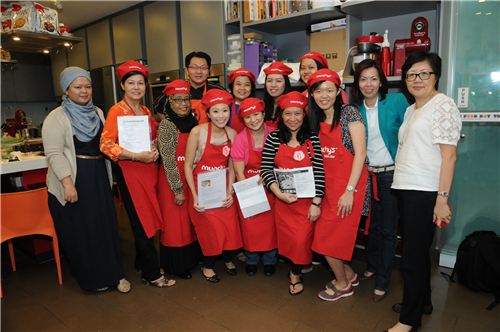 They had enjoyed themselves by sharing their cooking experience and recipes with each other. After the contest, the participants been treated with scrumptious dinner buffet including Christmas turkey, fried brown rice, fried fish…etc, specially prepared by Chef John See, using OatKrunch biscuits as one of his ingredients too.